When it comes to HiFiMan products, I am what you might call a die-hard fan. I purchased my first decent earphone, a Yuin PK3, from the company back when it was primarily a Hi-Fi distributor under the name Head-Direct, in 2007 or 2008. About a year later, I bought one of HiFiMan’s own developments, the RE0 in-ear earphone, and fell in love. The RE0 was nothing short of a revelation, providing clean, well-balanced sound that contemporary competition couldn’t touch. Over the years Dr. Fang Bian & co expanded the lineup to much more than just earphones, but full-size HiFiMan headphones have always eluded me – the HE-560 the first one I’ve had a chance to hear at length. The HE-560 is a headphone for the headphone lover, billed as a lighter and more comfortable planar magnetic set – with great sound, of course. It is not a flawlessly polished retail product like the OPPO PM-1 I reviewed recently and doesn’t share the rock-solid machined metal structure of the OPPO, but there is a raw, purposeful character to its design that I quite like. One thing to be said for the no-frills construction is that it is quite lightweight. The headband uses a suspended design with a metal outer band, and the forks are plastic. The dual-sided cable is detachable and utilizes coaxial connectors. The cups rotate a full 180 degrees, which is good for storage and transport, but better still for wearing comfort. With a dual-sided cable design like this one, there is no reason why the cups shouldn’t rotate a good amount even if the headphones are not meant to be compact. 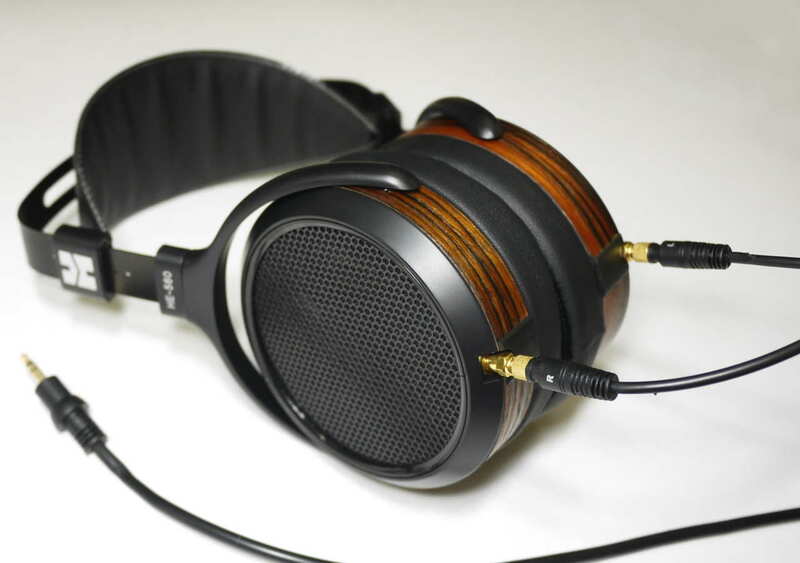 The HE-560 is a good-looking headphone, finished in a dark wood grain with flat black accents. For $899 you get the headphones, a cable, and a wood storage box with a sliding lid. That’s not a lot in the way of extras, but it’s what’s inside that counts. The HE-560, like the OPPO PM-1, Audeze LCD-2, and several other high-end headphones, is built around Planar Magnetic drivers. As usual, I defer to the more experienced to explain PM drivers in detail – see the Wisdom Audio white paper here as well as Tyll’s article over at InnerFidelity for an in-depth look at Planar Magnetic technology. Suffice it to say that PM drivers can make for a great-sounding headphone, but one of the common downsides is physical weight. Both my OPPO PM-1 and LCD-2 are hefty, if not downright heavy, and their weight on the head can be felt after some hours. 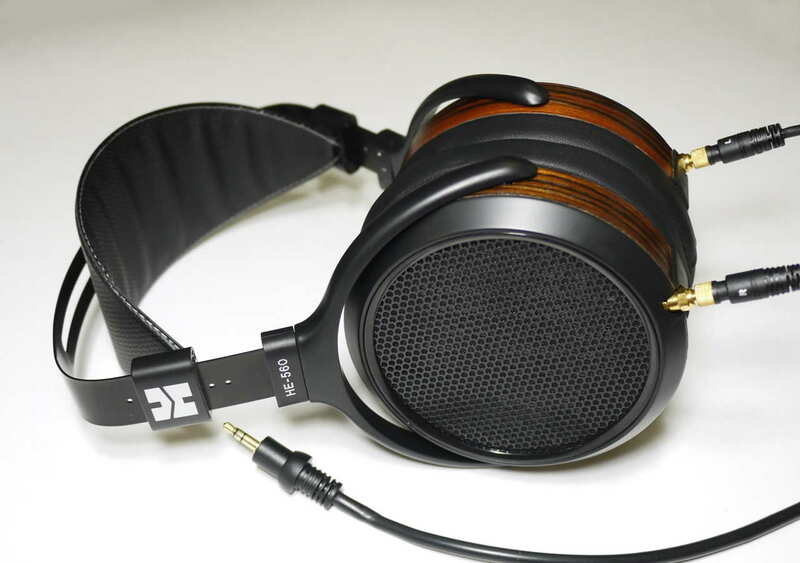 The HE-560 is very light for its size – noticeably more so than the PM-1 and LCD-2. This, together with the suspended headband design and freely pivoting earcups, makes it a very comfortable headphone. The final element of the comfort equation, the pads, are a hybrid velour+leather design. They breathe moderately well – not quite up there with the Sennheiser velour pads, but better compared to the leather pads on the LCD-2 and PM-1. The HE-560 earpads are more heavily bolstered at the back and keep the headphone comfortable despite its slightly higher (compared to the PM-1 and LCD-2) clamping force. The result of all this is a very comfortable Planar Magnetic headphone, equal for me to Sennheiser’s dynamic-driver HD600. The heavier LCD-2 and OPPO PM-1 are more fatiguing after a couple of hours. Sennheiser HD580 w/HD600 grilles, headband, and pads, and HD650 cable. This HD580 uses the “new” driver revision and to the best of my hearing ability is identical in sound to a current HD600. I will refer to it as “HD600” throughout. Planar magnetic headphones are often lauded for their speed, lack of distortion, and ability to maintain bass control while also pumping out powerful lows (i.e. providing bass quality AND quantity). The HE-560 definitely does not disappoint, especially when it comes to the low end. The bass is fantastic, the best I’ve heard from a headphone. It is deep, flat, and powerful, finding the ideal balance of controlled and hard-hitting. There is no discernible mid-bass hump but HE-560 is capable of moving a lot of air, which allows it to deliver excellent impact and sub-bass rumble alike. The midrange of the HE-560 is a bit less outstanding, both literally and figuratively. Compared to the Sennheiser HD600, OPPO PM-1, and Audeze LCD-2, the HE-560 is less forward and full-bodied in the midrange. The mids are very clear, but a little dry. The bass being tight and natural helps quite a lot, preventing the low end from intruding on the midrange in any capacity. The treble transition is smooth and the top end itself is refined, but not recessed. It has a good amount of sparkle without sounding harsh or sibilant. The HE-560 can’t be called bright, but it does have more treble energy than the HD600, PM-1, and LCD-2 (the latter two being especially polite at the top). There is enough presence with the HE-560 to properly convey the energy of cymbal hits, for example, whereas the OPPO PM-1 tends to sound a little dull and smoothed over in that regard. The level, tight, and clear sound of the HE-560 grants it very good imaging with a natural, slightly laid-back presentation, beating the LCD-2 and PM-1 when it comes to imaging. In short, the HiFiMan HE-560 is a highly capable headphone with the best bass I’ve come across and fantastic clarity, but with a slightly dry and not very forward midrange character. What follows are more in-depth comparisons to two other planar magnetic cans, the Audeze LCD-2 and OPPO PM-1, as well as to the dynamic-driver Sennheiser HD580/600. I never was a huge fan of the LCD-2, preferring the less expensive HD600 for both sound (more balanced) and comfort (lighter and more unobtrusive). That said, the LCD-2, with its Planar Magnetic drivers, powerful bass, and $1000 price tag, is more of an HE-560 competitor. The LCD-2 is heavier on the low end compared to the HE-560 and boasts a warmer tonal character. However, its bass is also touch slower and more sustained, which makes it appear a bit muffled next to the HiFiMan. The top end of the LCD-2 has a slight lack of energy in comparison to the HE-560 and its presentation is a little more congested thanks to the less controlled bass. The HE-560 has tighter, more linear bass and sounds clearer. Its overall balance is better thanks in large part to brighter treble. To my ears, the greater treble energy of the HE-560 is more natural overall and gives the HiFiMan set a more airy presentation. The LCD-2, while very forgiving, sounds dull and smoothed-over in comparison. The Sennheiser HD600 has been my benchmark full-size headphone for many years, but with the introduction of the HE-560 into the mix I think it will soon be retired. When it comes to bass especially, the HE-560 is simply better. It’s not just more powerful at the low end, but also more extended and more effortless. In comparison, the HD600 lacks the ability to really rumble on bass-heavy tracks; the HE-560, on the other hand, can crank up the low end when necessary, and sounds more natural doing it. On the whole, the sound signature of the HE-560 is a little more v-shaped than that of the HD600. The Sennheiser unit displays more prominent mids that are slightly thicker compared to the HE-560, but also a bit less clear. The extra treble presence of the HE-560 helps further with the clarity without making the headphones sound harsh or sibilant – a good thing in my book. The HE-560 sounds a little thinner and more crisp; a little more dry as well, but on the whole more natural. Both the HD600 and HE-560 are very spacious, and have excellent imaging but the HiFiMan unit appears to have a wider soundstage thanks to its less forward, more laid-back midrange. OPPO’s Planar Magnetic PM-1 headphone follows a smooth and balanced sound that falls somewhere between the LCD-2 and Sennheiser HD600. The HE-560 is bassier than the PM-1, but at the same time its treble is more energetic and extended, giving its presentation a more open feel. The extra treble energy sounds more natural to me, but the HE-560 also appears less full-bodied (i.e. thinner) through the midrange. This grants it a more “analytical” note presentation that some listeners may not find appealing over the more full-bodied PM-1. 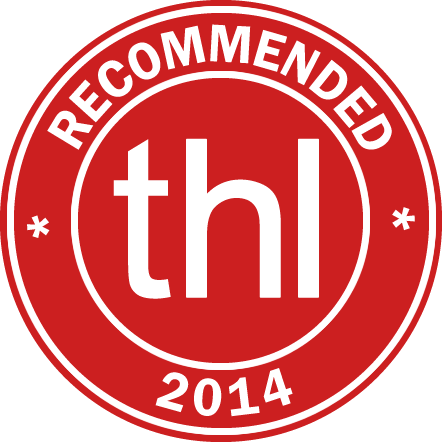 On the whole, however, the upper midrange and treble of the HE-560 are more well-defined and nuanced. The more mid-centric PM-1, on the other hand, sounds extremely coherent with its stronger, thicker midrange. Its bass is just a hair more boomy and it has smoother, completely fatigue-free treble that can make it sound a little vague and lacking in crispness next to the HE-560 – smoothed-over is the best term. The PM-1 also doesn’t quite have the same open and well-imaged presentation, but is more efficient. Not having tried any of HiFiMan’s previous full-size cans, the HE-560 impressed me more than I had anticipated, going so far as to replace the Sennheiser HD600 as my full-size reference headphone thanks to the outstanding bass performance and clarity. The only headphone I’ve heard that could be a better all-rounder is the $4500 STAX SR-009, and that says quite a lot. In addition to great sound, the light weight and very flexible construction of the HE-560 result in good wearing comfort, and it’s far from unattractive, what with the wood grain and black accents. It’s hard to talk about value with a set of headphones that costs $900, but the HE-560 is easy to recommend . Two years have passed. Since then, have you found another amplifier that sounds better than the HA-1 (the same for the DAC)? I like the HE560s for many genres. However, I really want to open them up with a good amp for classical music (from the Middle Ages to today: vocal, chamber music, vocal/orchestral [opera, cantatas, etc. ], powerful orchestral works laced with percussion and extended low brass, etc.). If you have not delved into any new configurations, can you please elaborate on how the HA-1/DAP sounds with classical music as outlined above (or your past experience with the classical music on the HE560s and your setup)? As a musician, I’m looking for incredible, analytical detail, natural timbre of the instruments and voice, and separation. In addition, can you please tell me the amplifiers and DACs you ruled out before choosing the HA-1/DAP? I appreciate all the help you’ve given me in the last couple of months–thank you again! They sounded best with the HA-1 and the HiFiMan DAP. Unfortunately I don’t have any of the more inexpensive full-size amps that are well regarded these days. To be honest I haven’t been looking – the only source I’ve added to my collection since then is a Fiio X3, and that’s mostly because I got tired of the lack of reliability of the HiFiMan 901 and wanted something that just works. I rarely use full-size cans so that wasn’t a factor in any of my source decisions. In fact, if I was looking for an amp specifically for the HE-560 I definitely wouldn’t buy the HA-1 – it’s an all-purpose unit that’s very good at doing many things, but I can’t imagine that it’s the absolute best headphone amp for the money. I maintain that the HE-560 is a very good headphone but I’m just not the person you want to ask about source pairings – I’m sure there are much better pairings that other people have found for these. Thank you for the fast response and information. Can you please name some of the less expensive full-size amps (and DACs) you’re referring to? My comment was more general, talking about stuff like the Schiit Valhalla that generally offer very good performance (as an amp) for a third of what the OPPO costs. You can add a standalone DAC to it and still come out hundreds of dollars ahead. Thank you for your the excellent advice! If you want to give an overall score to HE-560 & PM-1 (as in the case of your Ciem reviews), what score would you give? I don’t have a scale established for full-size headphones because I review so few. The HE-560 is the best one I have at home, though I’ve tried some higher-end sets from STAX, Sennheiser, Audeze, etc that are probably better overall. I guess If the HE-560 is a 9.5/10 then the PM-1 and HD600 would both be somewhere in the low-9.x range. Nice review! Been looking at this headphone! Can I ask for a comparison with the DUNU DN1000 against these? Mainly I’m concerned with the bass (quality, quantity, extension) and mid-bass “punch”. It’s tough to compare in-ears to headphones in bass – the bass presentation is generally a little different between the two. Headphones have large drivers and have a big advantage in actually moving air – their bass delivery is closer to speakers in that regard. In-ears, on the other hand, form a closed system with eardrum and move the eardrum directly (kind of like a piston compressing air in a closed space). Enhanced bass is very easy to achieve with in-ears, and in fact the majority of modern in-ears do have enhanced bass. What’s harder to do is balance bass quantity and quality. Anyway, to answer your question – the DN-1000 has more bass in terms of its actual frequency response and more “punch”, while the HE-560 is quite flat, but that only tells part of the story. A flat (in the bass region) headphone is just not perceived as being “bass-light” like a flat in-ear can be, and the HE-560 still has plenty of bass impact and extension, but presented in a more natural and relaxed way than the more aggressive bass of an enhanced-bass in-ear. could u plz compare he500/hd650 with he560? I don’t have either one on hand to compare with the HE-560. The HD650 I’ve heard years ago side by side with my HD600, and I preferred the HD600 then for its slightly leaner and more balanced sound. The HE500 I’ve never even tried. How do these compare against the Sennheiser HD800s? I currently own the Shure SRH1840s, which are great but they lack bass impact and extension. From an iem standpoint, I enjoy the Dunu DN2000s. I don’t have enough experience with the HD800 to provide a comparison but the bass of the HE-560 lacks neither impact not extension IMO. It’s no LCD-2 (which runs more on the enhanced-bass, full-bodied side), but as far as balanced-sounding headphones go it’s got great bass. The DN-2000 has more bass “emphasis” but the HE-560 can move quite a lot of air so it still has good impact. Have you compared with Focus and Focus-A pads or with the Jerg Mods? Have you tried the headphones with alternate pads (i.e. Focus vs. Focus-A) or either of the Jerg Mods? The RE-400 turned my V-shaped world on its head, and now with the RE-272 I am officially a HiFiman addict. If you had to compared the bass on the 560 to any IEM which one would come closest? That’s an interesting question – IEMs can’t really deliver bass like this because of the difference in the amount of air moved – the HE-560 has an audibly flat and level low end, but bass impact is still superb. Bass that you can feel, like this, is something you really only get with enhanced-bass IEMs. Just in terms of feel, I guess it is closest to JVC’s woodies (FX500 and FX700), but tightness is better – on-par with HiFiMan’s own IEMs. The Oppo is nowhere near the heft of the Audeze. Manufacturer specs, not my measurements. For all I know the OPPO was weighed in without pads or cables. In any case, the OPPO feels significantly heavier on the head than the HE-560.